Editor’s Note – This is an archive of Issue #14 of the Quotacy Newsletter, which was sent out on 5/21/2017. The Quotacy Newsletter consists of articles that we hand-picked from across the web, and it’s all about keeping our readers physically and mentally healthy so their lives are as great as possible. We go over topics ranging from physical fitness and dietary advice to cyber security and financial planning – anything that can help make life easier. Many chiropractors are noticing that the collective postures of Americans are getting worse. As we retain the same posture every day, our brains are beginning to get used to our hunched postures as a new normal. The longer you stay slouched throughout the work day, the harder it is to unlearn your bad habits and return your posture back to normal – which can have some serious health effects in the long run. Bad posture can lead to issues ranging from pinched nerves to disc herniations, but there are a few ways that you can shake up your bad habits and get your body back on the right track. – Roll your shoulders back and bring your neck back in line with the rest of your spine. – Sit as far back in your chair as possible, and let it support your back. – Keep your shoulders squared and your head upright. – Imagine that you’re being pulled upward by a string attached to the top of your head. As Generation Y begins to move into the breadwinner role for their families, many of their parents are retiring and looking at how they want to spend the rest of their lives. For many families, having elderly parents move in with them makes the most financial sense, but comes with a lot of unique challenges. As 20% of Americans are now living in multi-generational households, more and more people are looking to streamline parental support to keep their lives as simple as possible. 1. Consult your spouse and siblings beforehand. 2. Talk with your parents early. 3. Make sure you understand the financial situation. 5. Put a plan in place (and have a backup, too). 6. Tie up the legal paperwork. 7. Start helping out early. Here in Minnesota, the sun is finally coming out in full force, and people are soaking it up to make up for lost time. 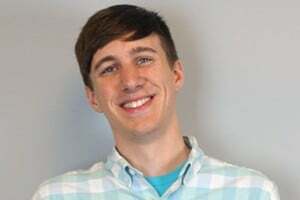 However, it’s really easy to overdo it on the first sunny day, and many of us in the Quotacy offices are sporting more red than tan. Luckily, scientists have found a new way to help your skin protect itself better from the effects of the sun by synthesizing the molecules that naturally help skin deal with sunlight. Basically, scientists have recreated the parts of our cells that normally create and store melanin (the natural pigment that absorbs sunlight and makes our skin darker). While this does have interesting applications in the development of sun protection products, scientists are most excited about the uses of this compound to treat albinism and other melanin-related diseases. It’s an interesting question that more and more people are asking themselves. Over half of all Americans don’t have enough life insurance coverage for their families, and many drastically overestimate the price. Mint’s blog offers an easy metric for deciding whether or not you need to consider buying coverage. If you’re not sure whether or not your family needs coverage, this article can help. Basically, your need for life insurance depends on how many people depend on your income. – If you’re single, odds are that you don’t need life insurance coverage. – If you’re married without kids, you might need life insurance in a few specific situations. – If you have dependent children, you definitely need coverage. …Well, you might notice a little bit, but saving money using the method described in this article might be a little easier than fixed savings plans. By varying the amount you deposit into your account each week according to the schedule you’re paid at, you can lessen the blow of saving and keep steady growth going toward your bank account. Putting a high deposit into savings early in the month can help make later deposits feel less stressful, and little deposits at the end of the month help you stay on track when your reserves are lowest. By adapting this saving strategy to your budget, you can create a regular savings cycle to keep a constant stream of money flowing into your backup accounts. And have a great day! 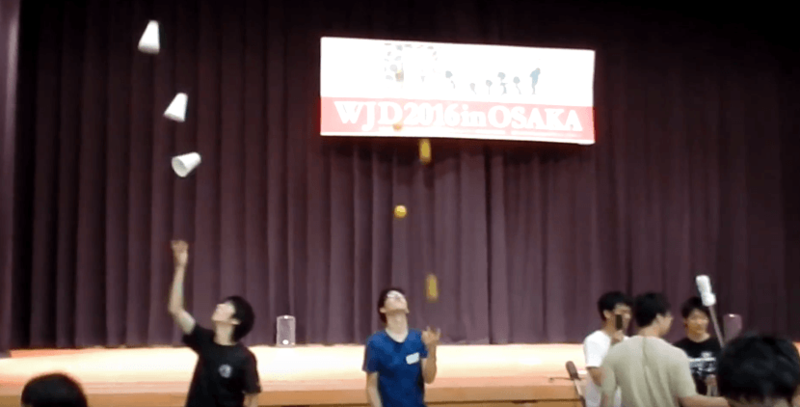 If you need help, here’s a highlight reel for the 2016 World Juggling Festival in Japan.